Males are a bright orange, with a dark stripe through the eye on an orange face, and a white wing patch on a black wing. Females are less dramatically colored with gray and a yellowish orange on head and tail. 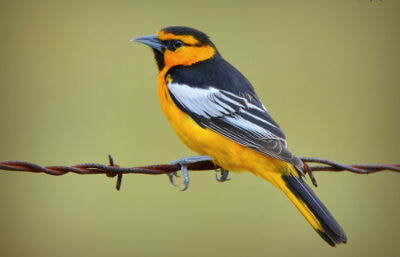 Orioles are related to blackbirds and have a similar long, thick and sharp-pointed bill. 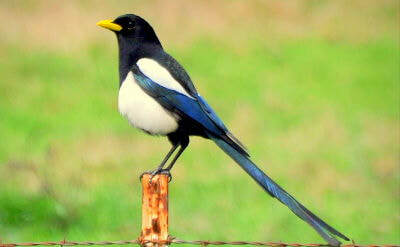 The yellow-billed magpie, so common to central and southern California, is found nowhere else in the world. 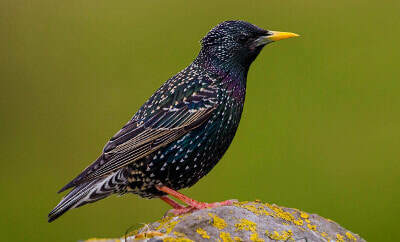 It is “endemic” or restricted to a certain place. 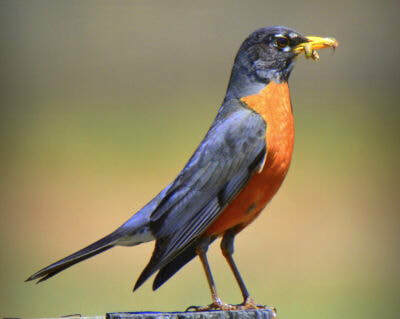 West Nile Virus wiped out almost half of the population, almost 90,000 birds, in just two years. But the magpie has shown signs of rebounding. There are a few birds one could consider as clowns either because of their actions or their appearance. 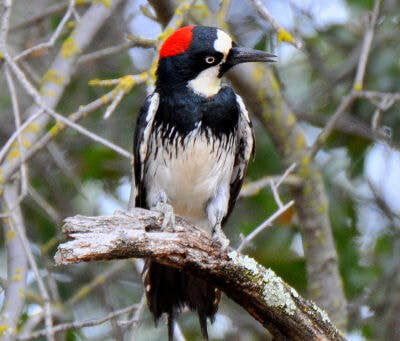 The acorn woodpecker with its clown-face of bold black, red and yellowish white is our clown of the month. 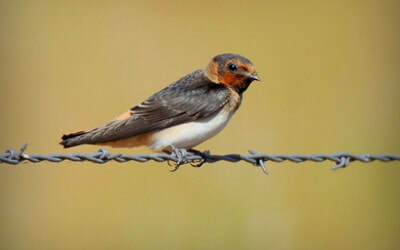 The barn swallow is the most common and widely found swallow in the world. 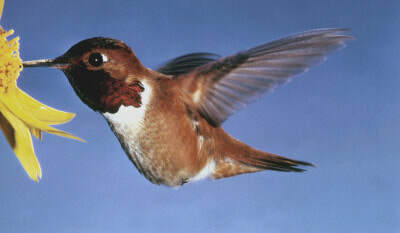 The Northern Hemisphere is their breeding territory and they migrate to the Southern Hemisphere for the winter. They can be found from sea level up to 10,000 feet elevation. Did you know there is more than one “blackbird”? 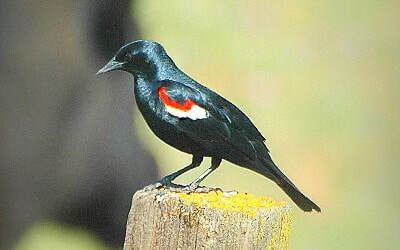 The common Brewer’s Blackbird seen in parking lots and backyards is one, but there are two others that are closely related: Tricolored Blackbird and the Red-winged Blackbird. These two are more similar in appearance than different. 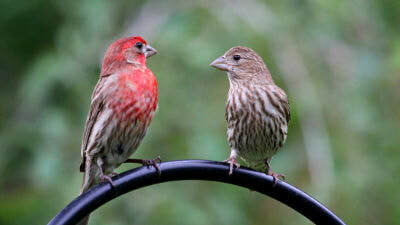 House Finches are one of the most common birds seen in backyards. Some captive house finches were released near New York City in 1941 after failed attempts to sell them illegally as caged birds. As a result, they have spread rapidly across the United States and Canada. The population in North America is estimated between 267 million and 1.4 billion individuals. You can’t miss these guys! One of the longest migrants, according to size, the Rufous Hummingbird travels from Alaska to Mexico for approximately 3,900 miles and they are only 3 inches long! 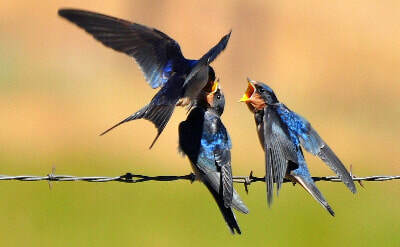 These are colorful swallows with deep blue on their backs, wings and crown of the head; a light underside and chestnut-colored face, dark throat and pale gray nape. They can be confused with a barn swallow. You love them or you hate them. There doesn’t seem to be a middle ground. They are abundant and aggressive. They may chase away your favorite birds from your backyard feeder. They are noisy! But their coloration is dazzling and they have some fascinating talents. 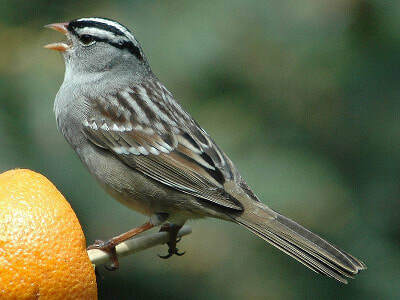 The white-crowned sparrow (Zonotrichia leucophrys) is a medium-sized sparrow native to North America. Adults are 18 cm (7 in) long and have black and white stripes on their head, a gray face, brown streaked upper parts and a long tail. The wings are brown with bars and the underparts are gray. Their bill is pink or yellow. They are similar in appearance to the white-throated sparrow but do not have the white throat markings. 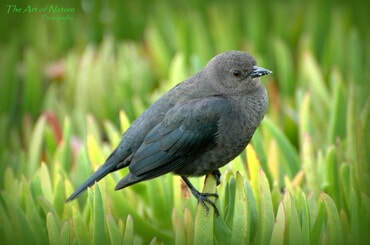 Brewer’s Blackbirds are everywhere you look. 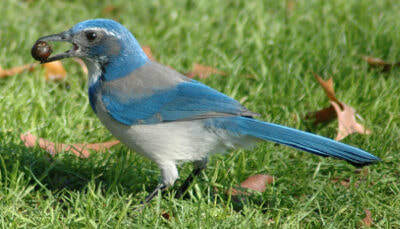 There are in the grocery store parking lot, at your backyard feeders, in the park, at the farm, and in the trees. We find them at sea level and up to 8000 feet elevation. Is that a dog barking? Honey, you need to fix the squeaky hinges! Darn those crickets chirping all night long. 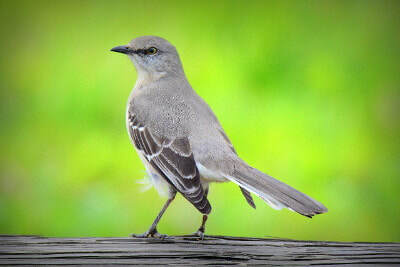 No, it isn’t a dog, a hinge nor a cricket, but our Northern Mockingbird doing his best imitations.